GAZA, July 9, 2014 - Palestinians carry the body of a member of a Hamad family during their funeral in the northern Gaza Strip town of Beit Hanun, on July 9 2014. Six members of a Hamad family were killed after an Israeli strike targeted their house in northern Gaza, medics said, on the second day of the Israeli operation against Palestinian militants. The Israeli air force bombed 160 targets in the Gaza Strip overnight as it pressed a wide scale campaign to stop volleys of Palestinian rocket fire, an army official said. 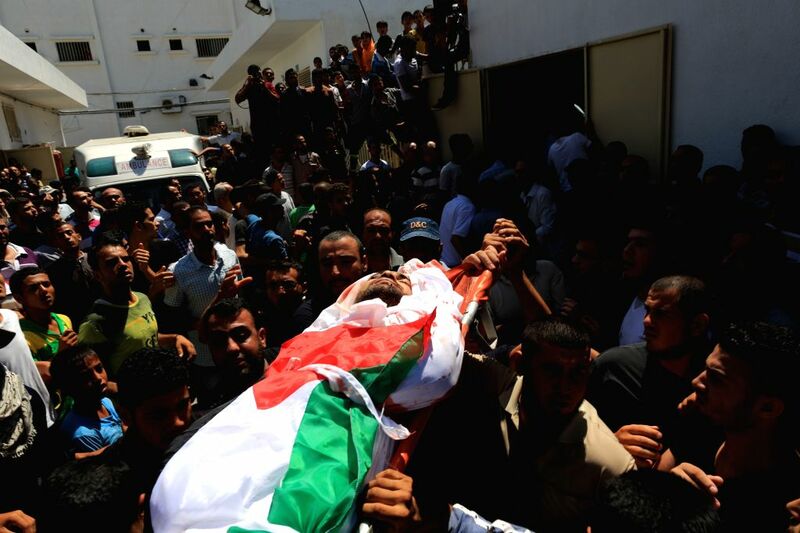 At least 27 people were killed since the beginning of the Israeli attacks in the enclave. 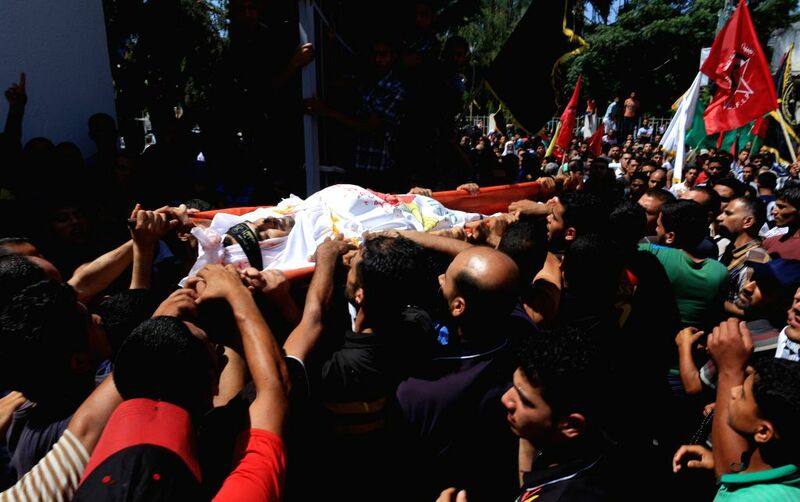 Palestinians carry the body of a member of a Hamad family during their funeral in the northern of Gaza Strip town of Beit Hanun, on July 9 2014.